Below are general frequently asked questions. For more specific topics not covered her, please refer below for links to specific website areas. If you need more assistance, please refer to our Help Center. Q: What is the TDECU routing number? A: The TDECU routing number is 313185515. Q: Can I reset my Online Banking password? A: Yes. Simply click Forgot Password below the login on TDECU.org. You’ll need to enter your Login ID (either your Member Number or an ID you have selected) and then you’ll receive a secure access code to verify your identity. Once you submit your secure access code you will be prompted to create a new password. View details and screenshots with our interactive PDF or via our downloadable PDF(13.3Mb). Q: I have locked myself out of my Online Banking account. Is there a way to unlock my account? A: If you have made more than three invalid login attempts in less than 24 hours you must call TDECU at 800-839-1154 to unlock your accounts. This security measure helps protect you from unauthorized access and fraud. A: Contact TDECU at 800-839-1154 to request an address change. A: Your Member Number is the number used to identify you as a Member of TDECU. All of your relationships with TDECU fall under this number. 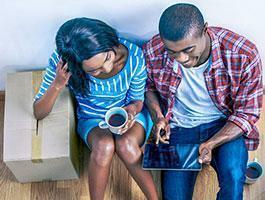 To find your Member Number, you can log in to Online Banking. Alternatively, you may locate your Member Number on your monthly account statement or stop by any TDECU Member Center location for assistance. Q: What is the direct phone number for my Member Center? A: To efficiently handle your call, we have a central number, 800-839-1154, that can service all of your needs. This includes getting in touch with your local Member Center as needed. 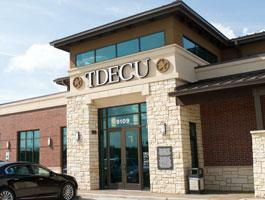 Q: How do I pay my TDECU loan from another bank or credit union? A: Visit our Make a Payment FAQs for more information. 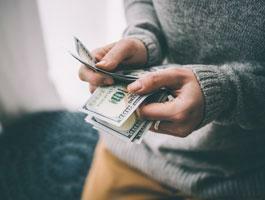 Q: Why is there a hold on my check or deposit? A: A hold means that although a check amount was credited to your account, it's not yet available for your use. TDECU’s general policy is to make deposited funds available on the first business day after we receive a deposit. In some cases, however, we may place a hold on funds deposited by our Members. Q: What is the difference between my current balance and available balance? A: Your current balance is the balance that's available for you to make purchases and withdrawals. This balance is updated throughout the day with transactions you make. Your available balance reflects any posted and pending transactions, as well as any holds. It does not include any checks you have written or deposits that have not posted. This balance is used in making payment decisions and determining returned or overdraft item fees. 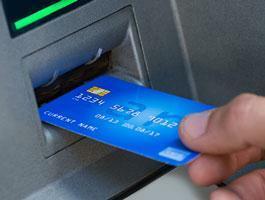 Q: Why did I not receive a call that my card was disabled due to fraudulent charges? Q: How do I notify TDECU of my upcoming travel plans so that my debit and/or credit card will be available while I travel? A: For debit cards, please notify TDECU at least 2 business days before your departure by sending Member Care a secure message in Online Banking with the dates of your travel and the destination.